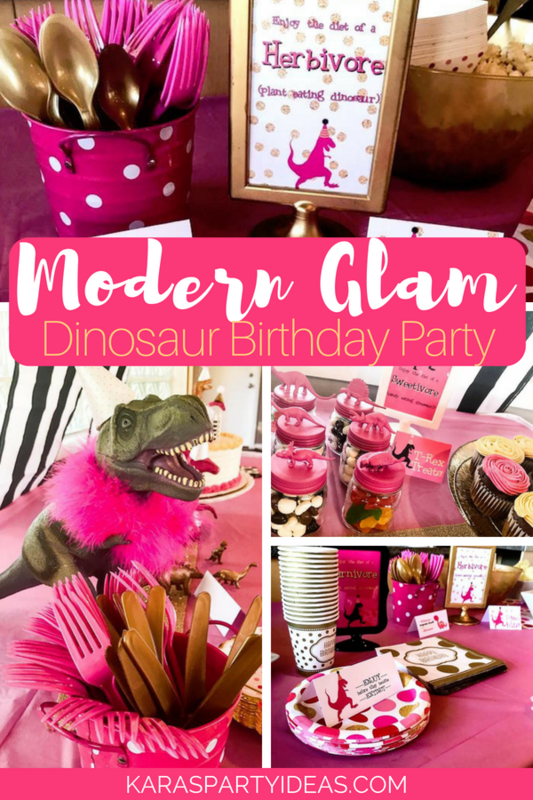 Glam on up and hear the roar, this Modern Glam Dinosaur Birthday Party is stomping in, for all girls to adore! 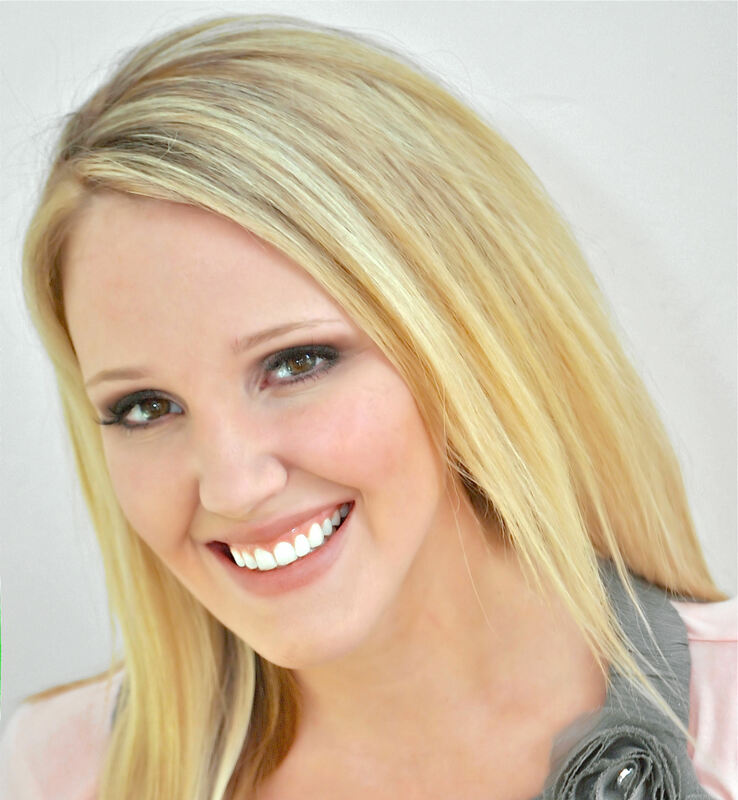 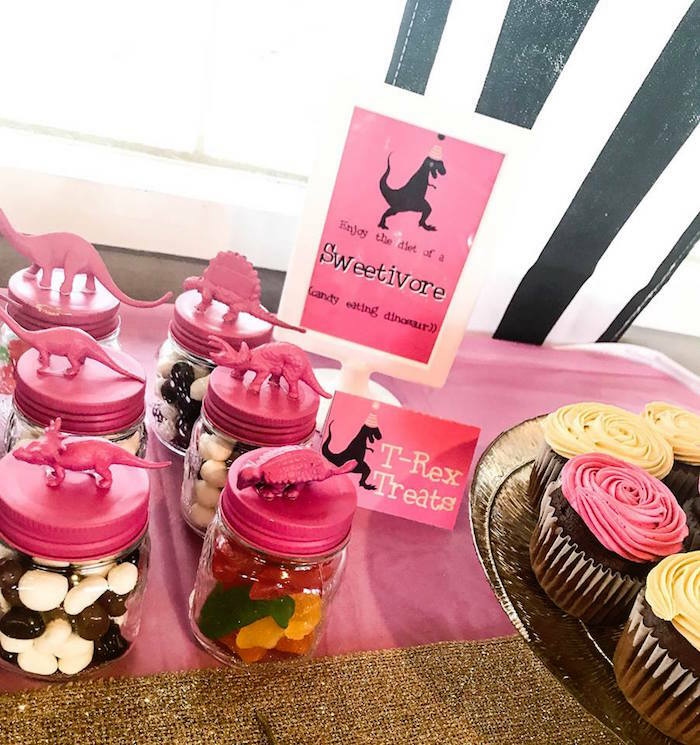 Styled by Holly Hassman of How Sweet, out of Calgary, AB Canada; this perfectly pink event is packed with party fun, certain to never become extinct! 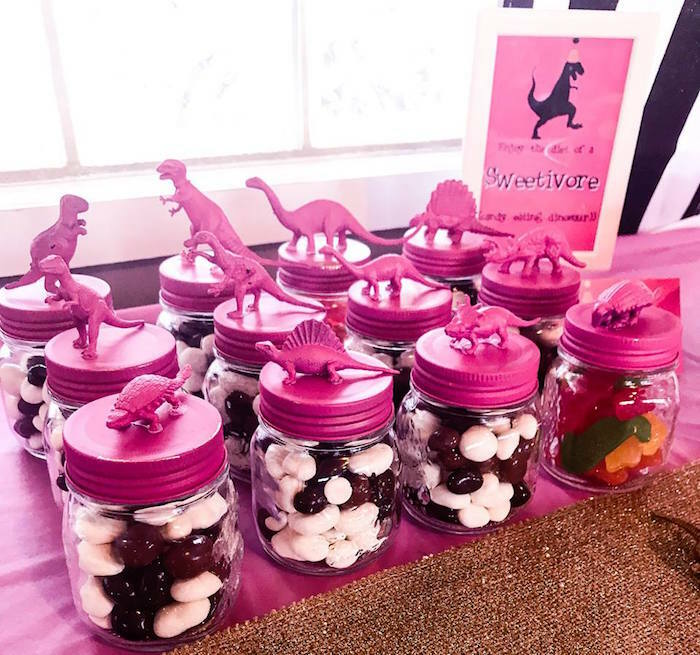 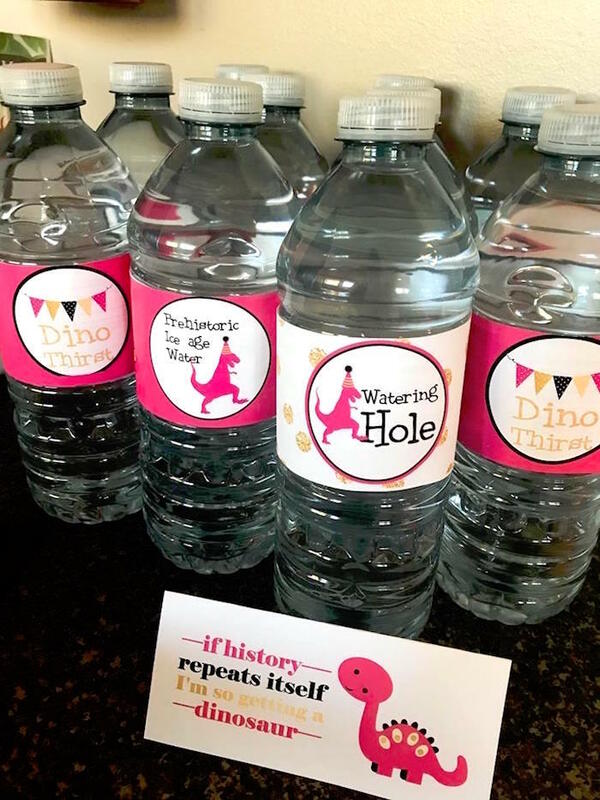 And Pink Dino Favor/Sweet Jars! 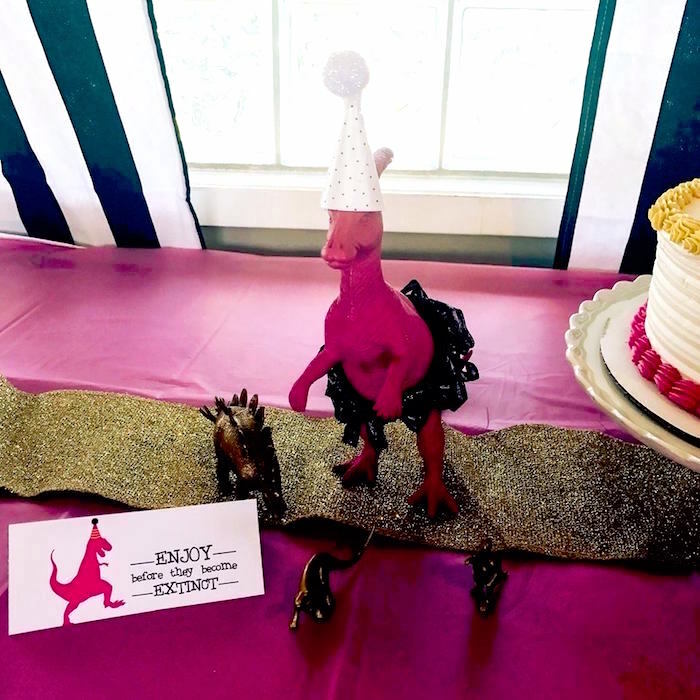 Holly’s party snippet- “I want to be a GREAT BIG PINK Dinosaur….SO let’s dance and twirl and stomp like a dinosaur! 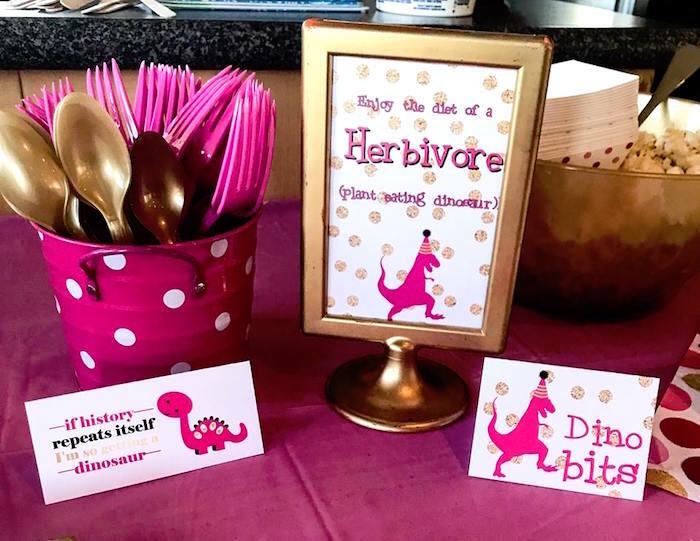 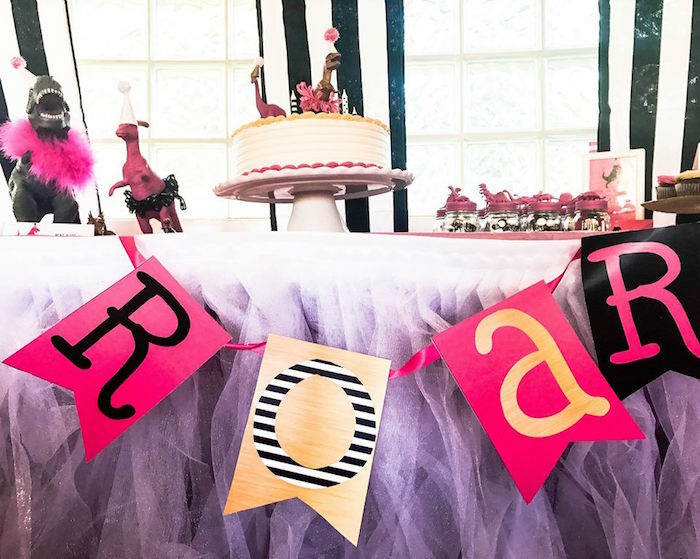 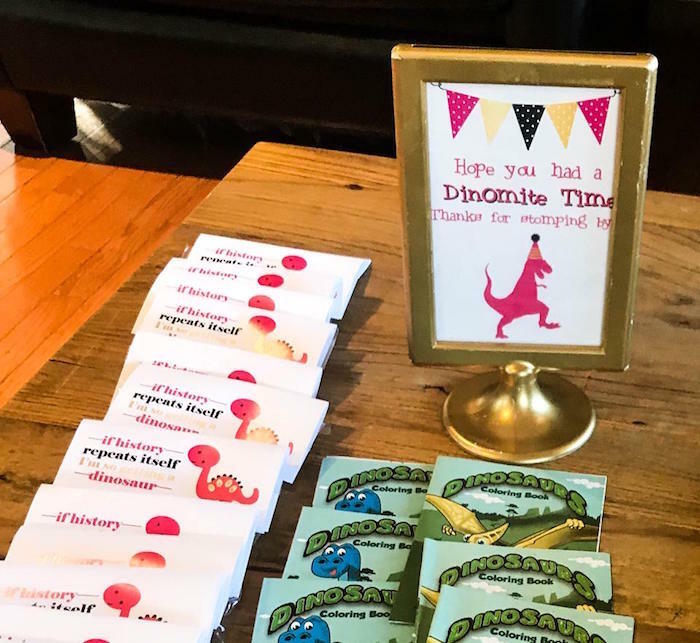 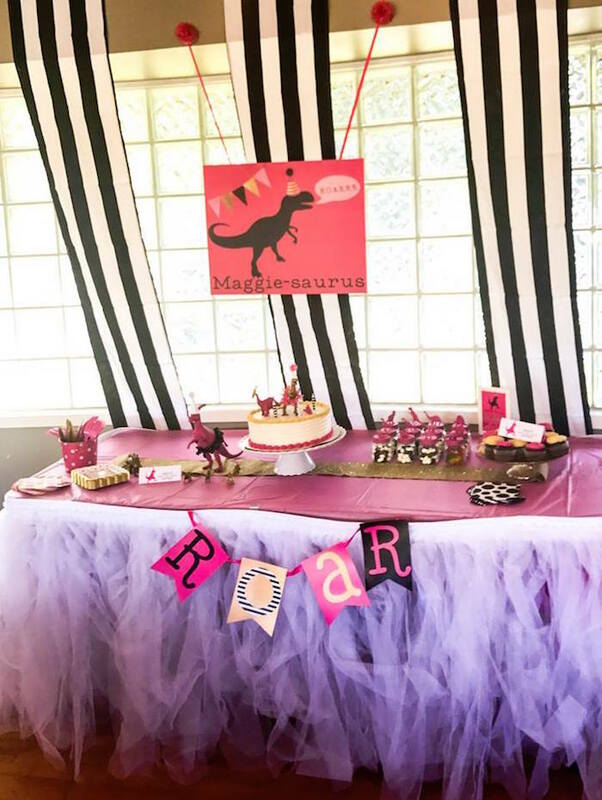 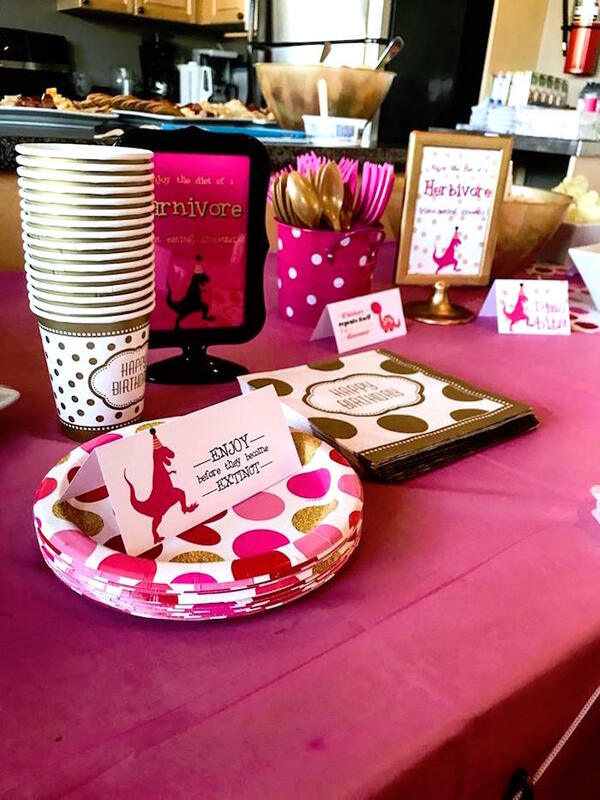 Submitted by Holly Hassman of How Sweet, this bright pink, accented with black and white stripes and hints of gold, prehistoric birthday bash is adorned with sweets, snacks, and decor that makes you want more. 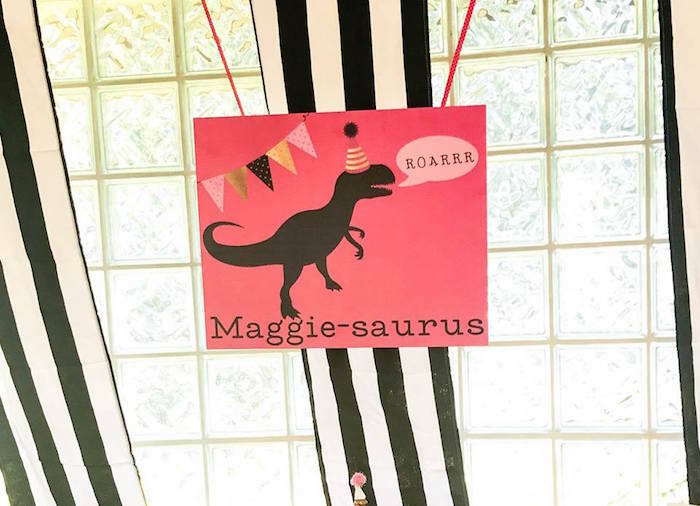 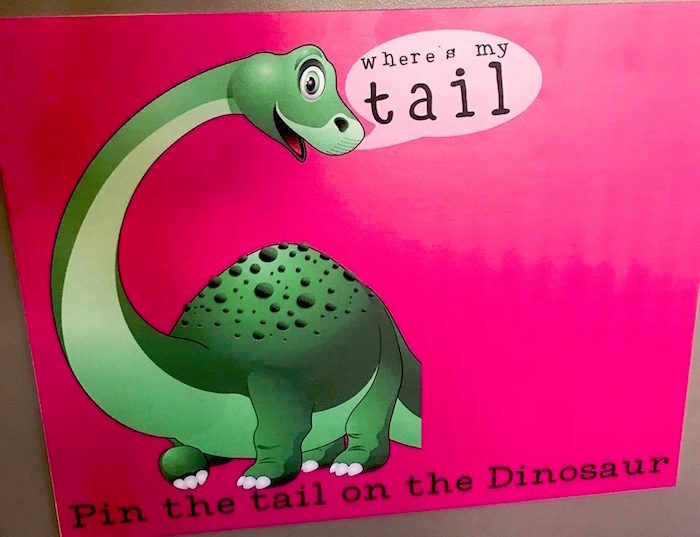 So, grab your tutu and follow the sounds and let’s explore this dinosaur playground! 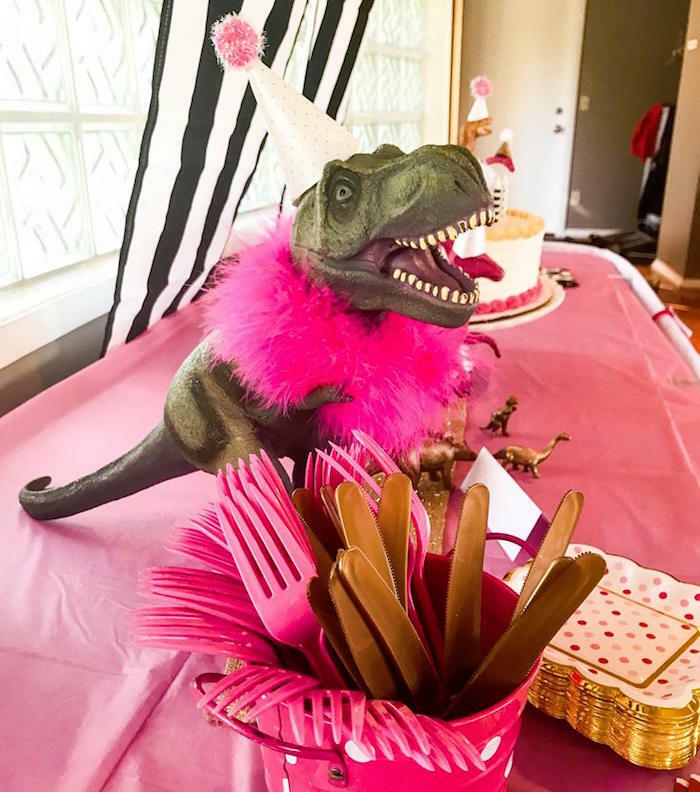 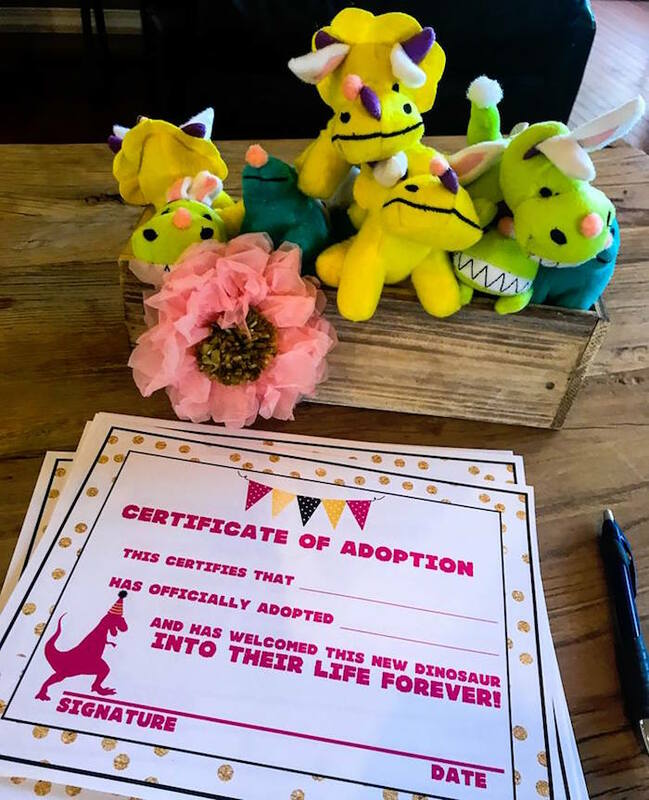 Stomp on over and check out this darling girly dino party!